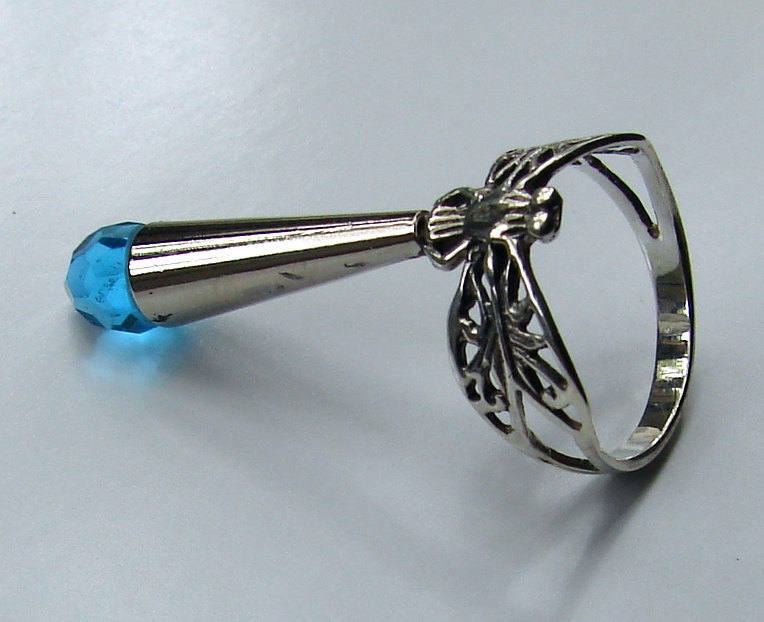 The Sterling Silver dragon Fly ring is a unique design to say the least! 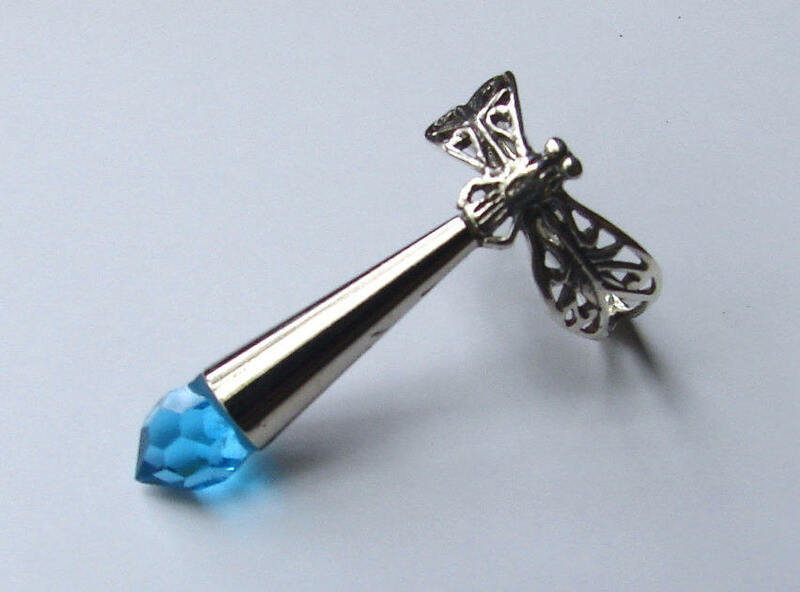 A Swarovski Topaz blue crystal is set in a silver plated cone which replaces the tail. This is a statement piece draws a lot of attention but care should be taken around pockets and sleeves.